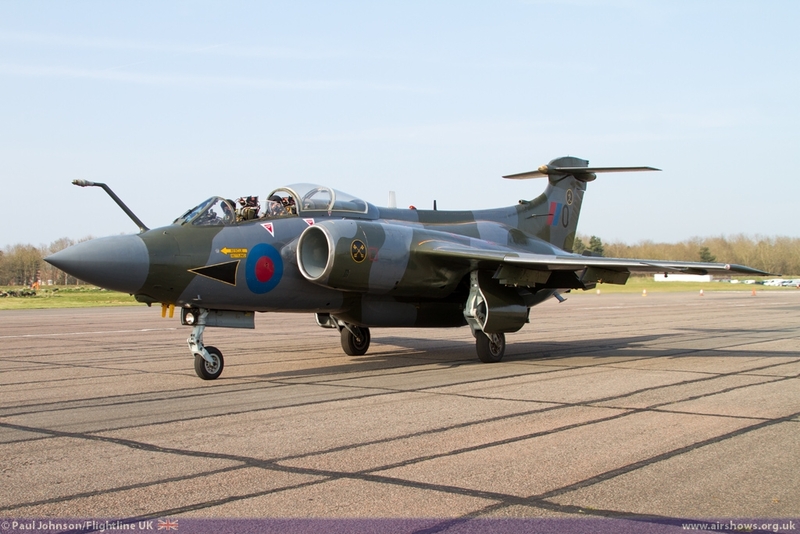 The Blackburn Buccaneer had a long successful career as a low-level subsonic strike aircraft in service with the Royal Navy and Royal Air Force plus the South African Air Force. 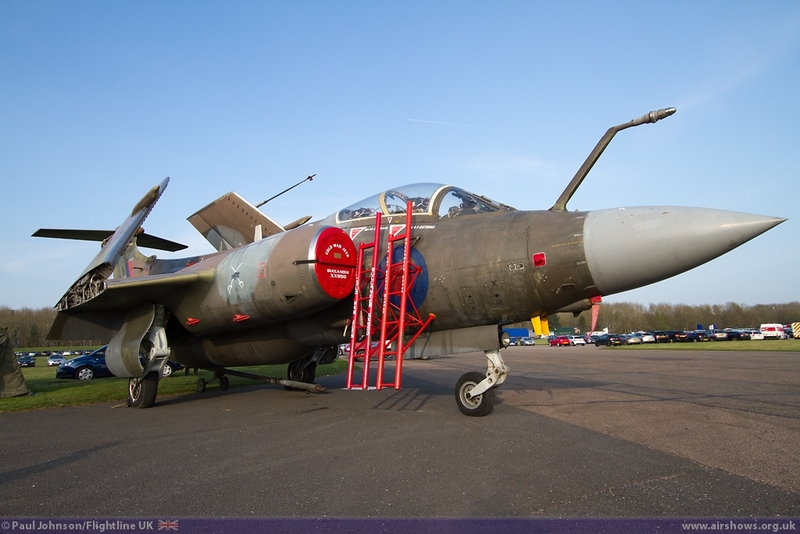 As is so often the way, it was not until the eve of retirement that the aircraft was truly used in anger supporting Panavia Tornado GR1 strikes in the 1991 Gulf War. 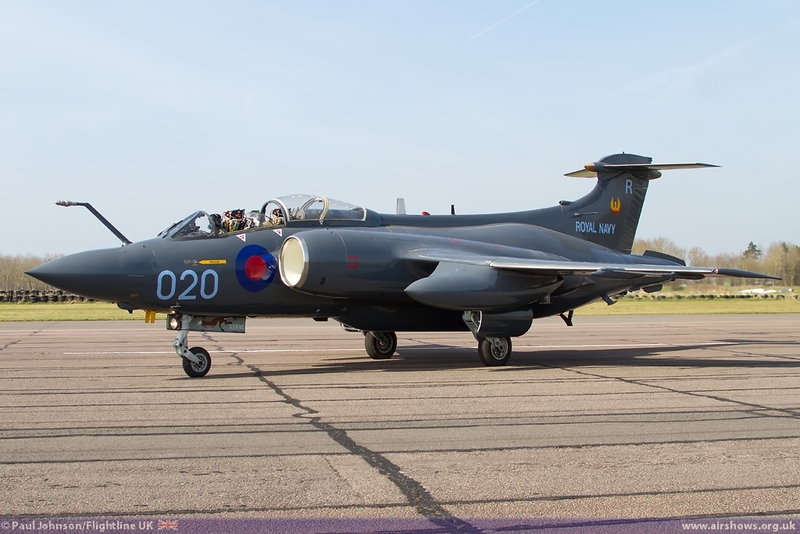 The type was eventually retired from RAF service in March 1994 when 208 Squadron disbanded. 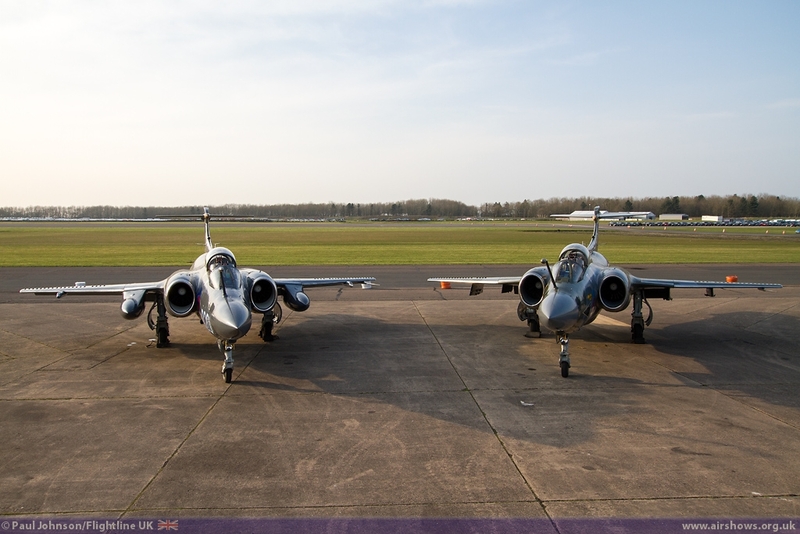 To mark the 20th Anniversary of the retirement, The Buccaneer Aviation Group (TBAG) based at Bruntingthorpe in Leicestershire organised a special day based around their two ‘live’ examples of the breed plus some invited visitors. 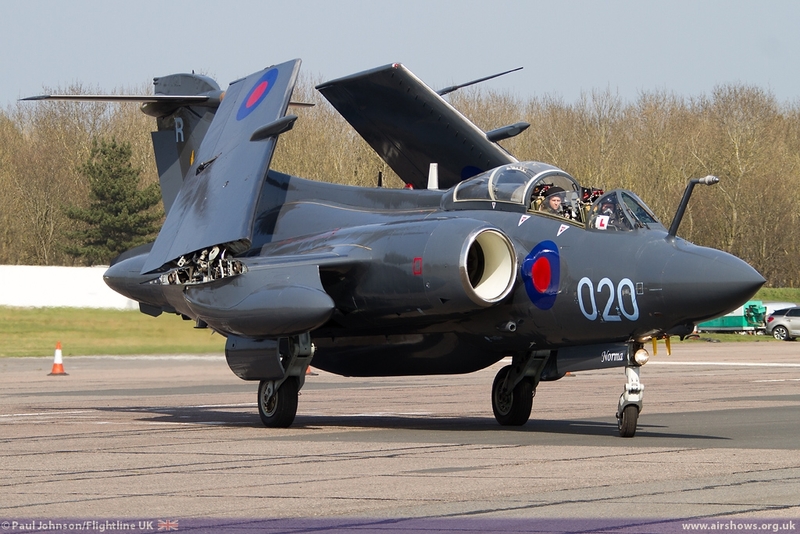 First flown in 1958 and introduced into service in 1962, the Blackburn Buccaneer was built as a low-level strike platform for Nuclear Strike and anti-shipping mission against the Soviet Union. 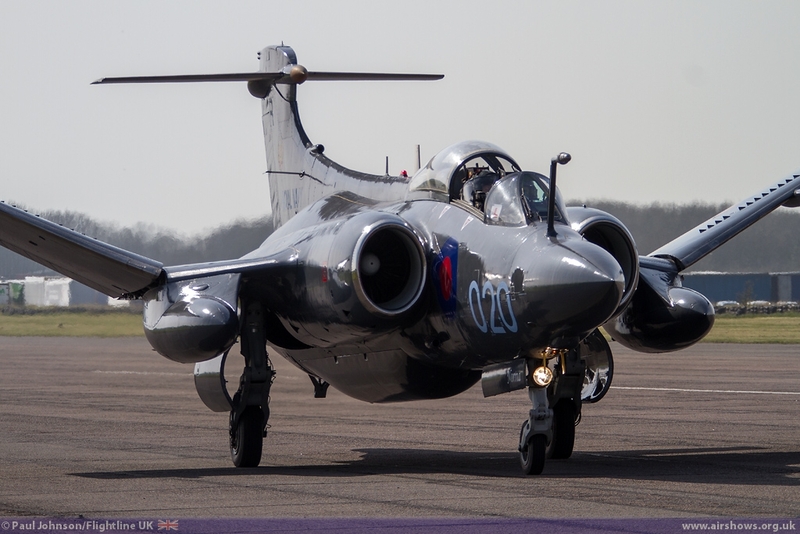 Initially the type entered service with the Royal Navy. 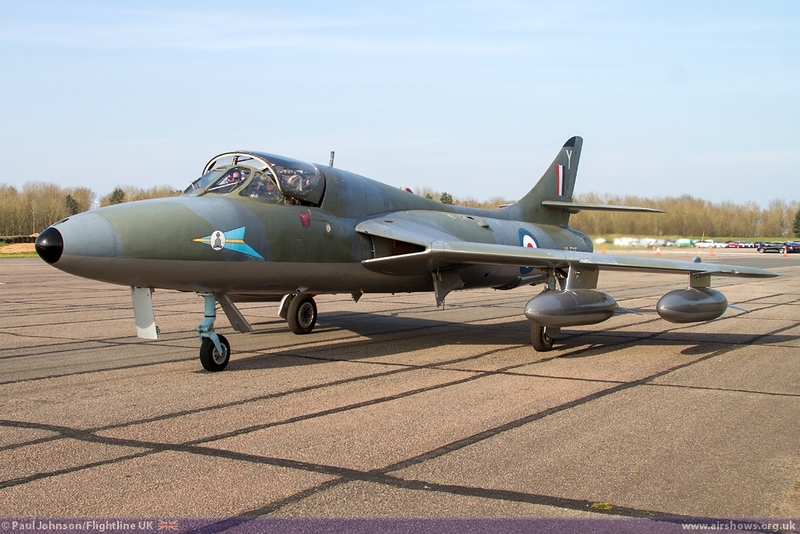 Early examples suffered from being underpowered with the de Havilland Gyron Junior powerplants in the S1 variant. 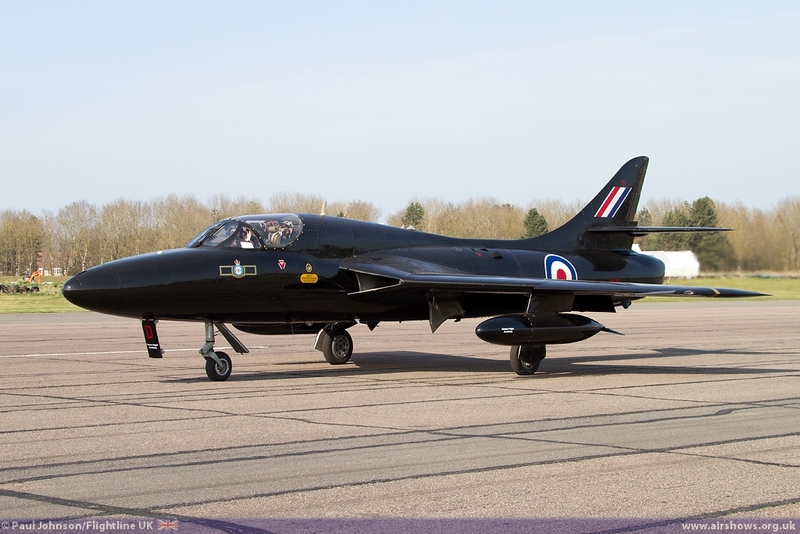 This meant the aircraft was unable to fulfil its full potential being unable to take-off with full fuel and weapon loads when deployed at sea. 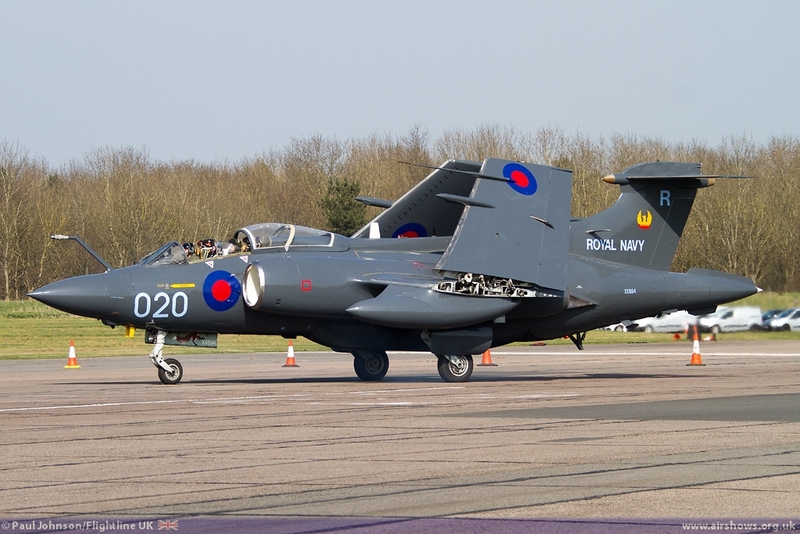 It also meant an engine failure during take-off or landing on a carrier usually ended with the loss of the aircraft and potentially the crew. 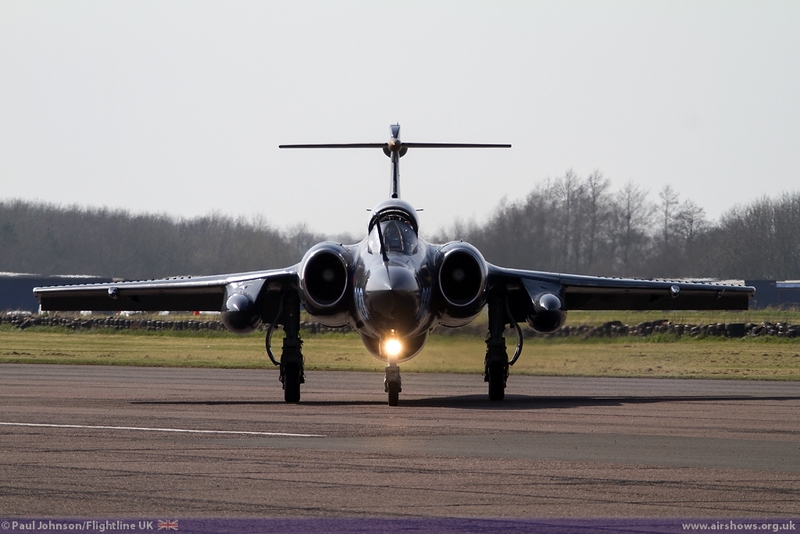 The substantially improved S2 saw the aircraft powered by the Rolls Royce Spey which not only offered 40% more thrust but also greater fuel economy making the aircraft far more suitable for naval operations and had completely replaced the early S1s by 1966. 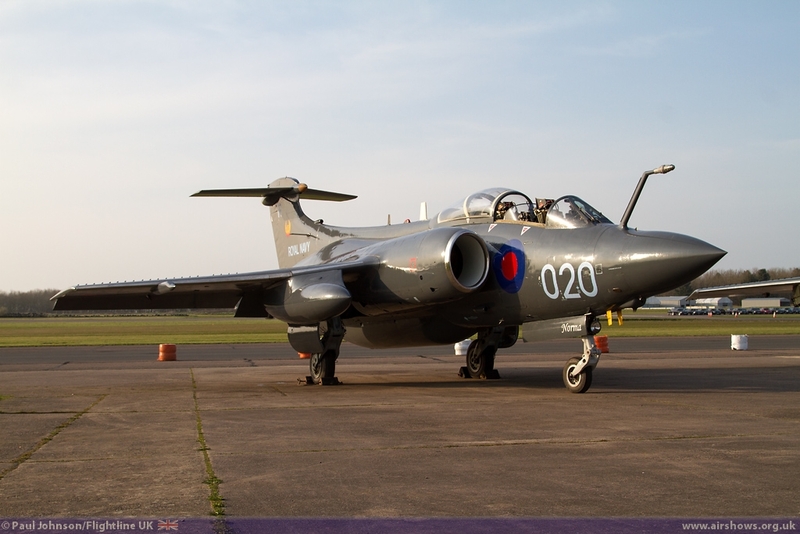 Though never used in anger by the Royal Navy (unless you count the bombing of the stricken oil tanker Torrey Canyon in 1967 on environmental grounds) the Buccaneer was used in daring 1,500 mile sortie to provide a “show of force” over British Honduras (now Belize) when it was threatened with invasion from neighbouring Guatemala. 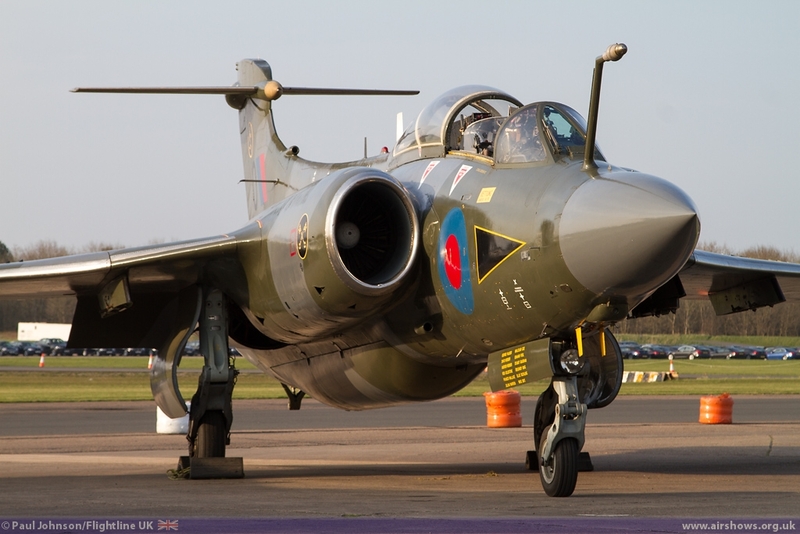 The Royal Air Force initially was not interested in the Buccaneer with its Canberra and the proposed TSR2. 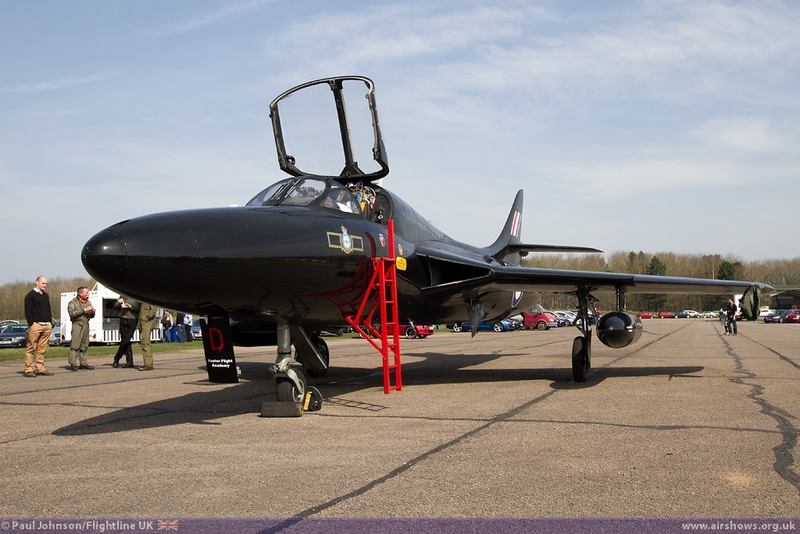 However the cancellation of the latter and its intended replacement, the General Dynamics F-111K meant that in 1969 the RAF started to take on the type. 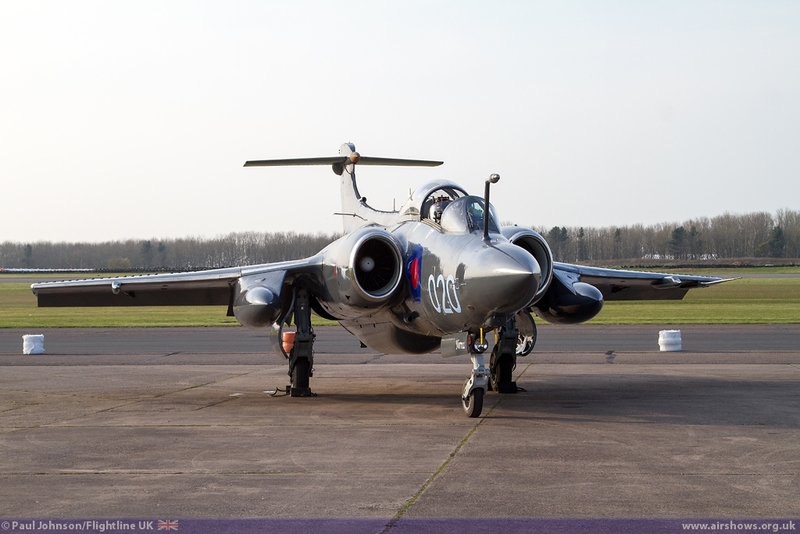 46 new-build Hawker Siddeley Buccaneer S2Bs were produced for the RAF which also took on airframes transferred from the Royal Navy which was in the process of decommissioning its large aircraft carriers. 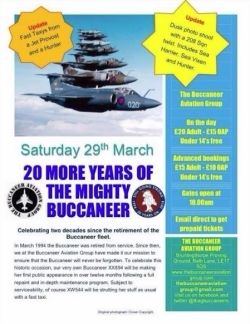 In 1983, Buccaneers were again used in a show of force, this time operating from Cyprus in support of British Peacekeepers in the Lebanon. 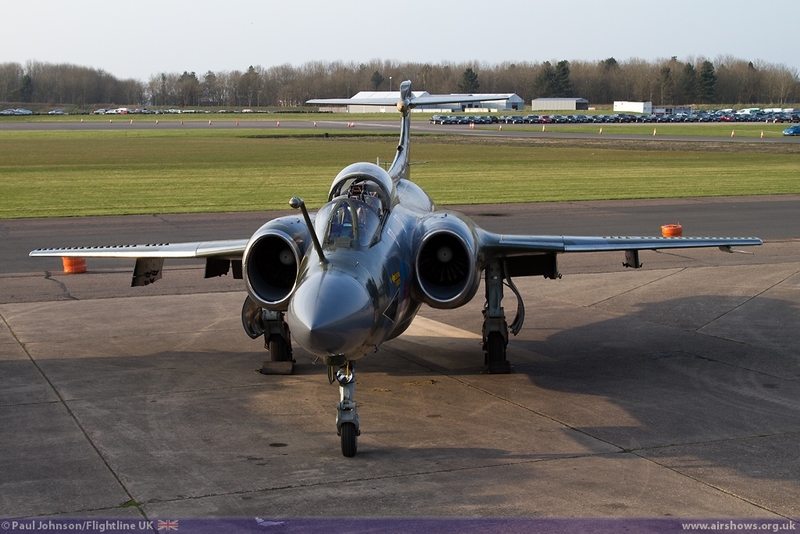 However, it was the 1991 Gulf War in which the Buccaneer force finally saw combat action. 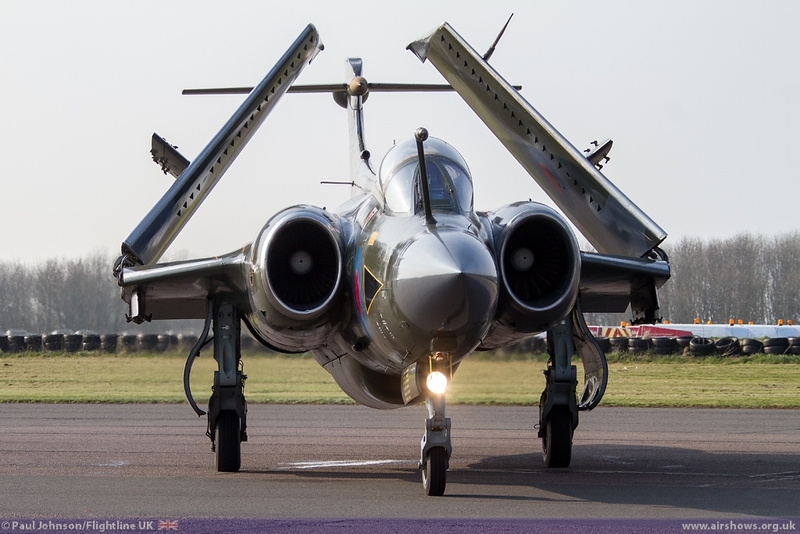 Their main role was to support the Tornado force designating targets with theirs lasers on to which the Tornados dropped their Paveway Laser-guiding bombs though the Buccaneers also attacked targets themselves. 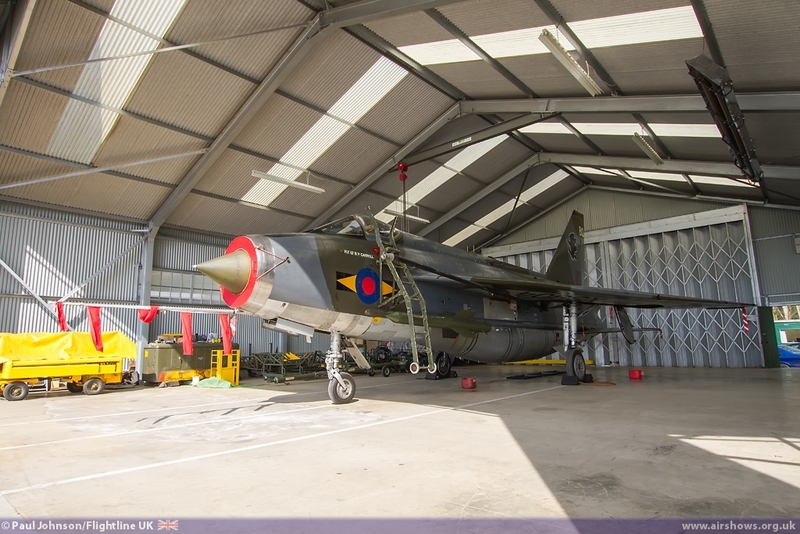 In total the Buccaneers flew 218 sorties supporting the Tornado and dropping 48 Laser Guided Bombs themselves. 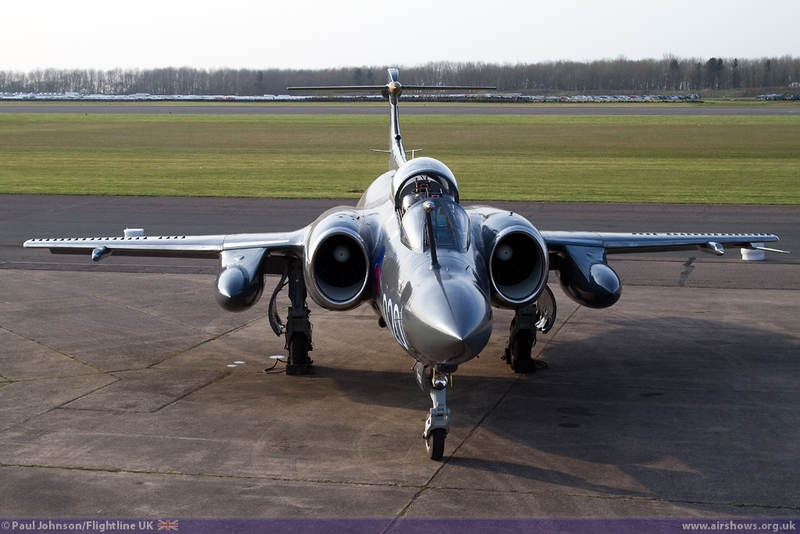 Though having been extensively modified, the Buccaneer force lasted just another three years after it was deemed the Panavia Tornado GR1B could take over the main role of anti-shipping strike with the Sea Eagle missile. 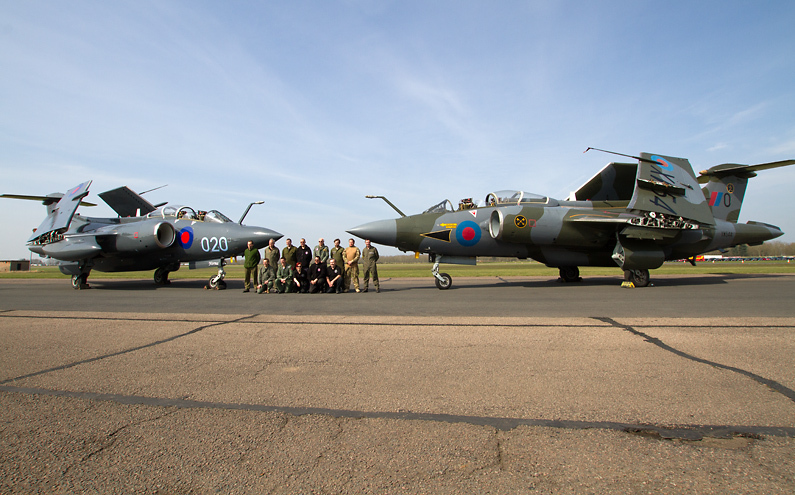 The fleet was slowly drawn-down until just 208 Squadron remained before their disbandment in March 1994. 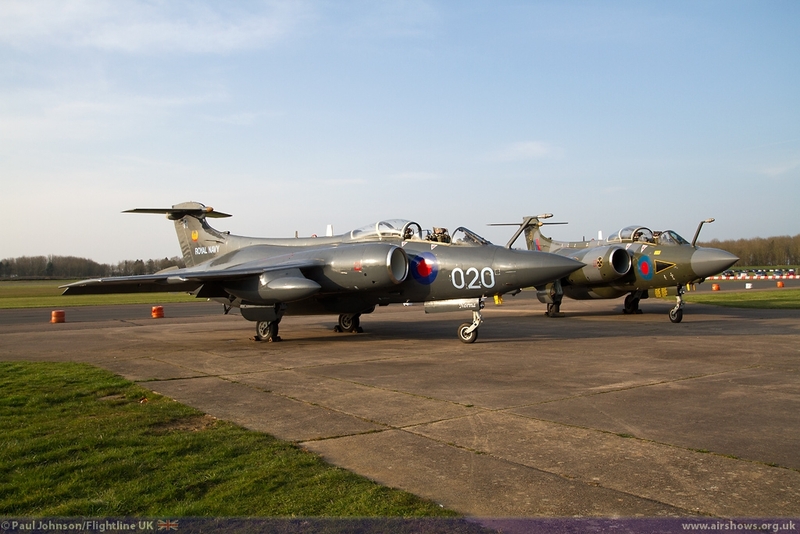 The Buccaneer Aviation Group is a voluntary organisation that maintains two Blackburn Buccaneers S2Bs in fast taxying condition at Bruntingthorpe Proving Grounds. 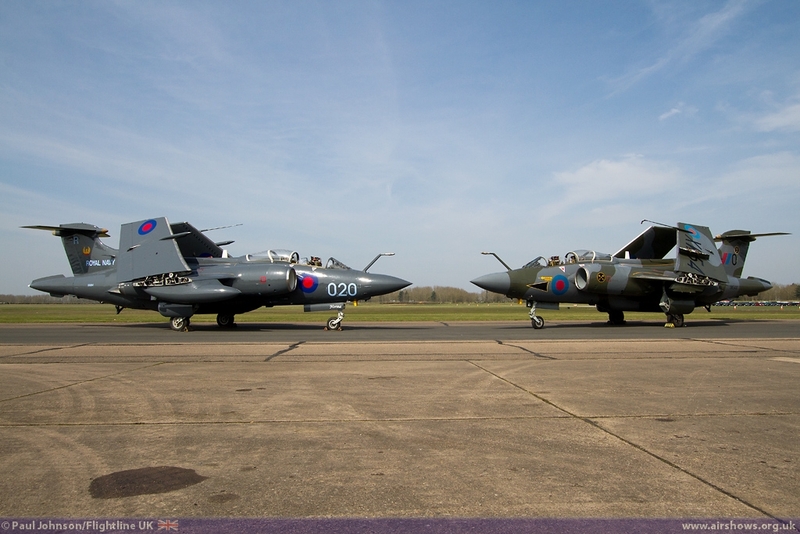 Their two aircraft are beautifully kept, one (XX894) wearing the colours of 809 Naval Air Squadron of the Royal Navy and the other (XW594) of 16 Squadron. 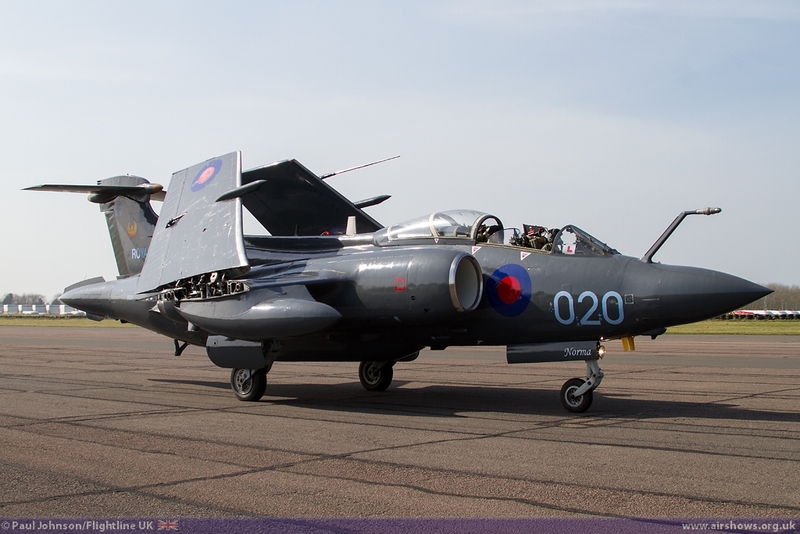 The latter is unique amongst the preserved Buccaneers retaining an earlier cockpit standard. 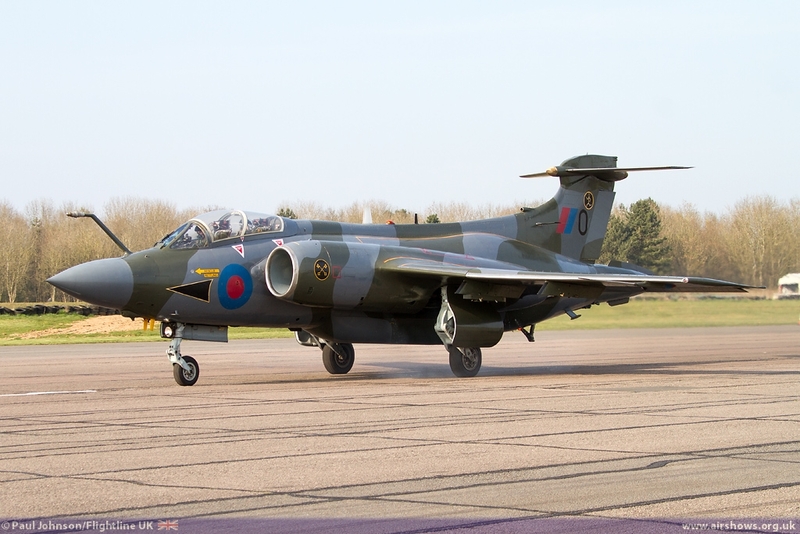 XX894 also has an interesting history being the only Buccaneer to destroy an enemy aircraft by attacking it with bombs which it attempted to take off during the Gulf War! 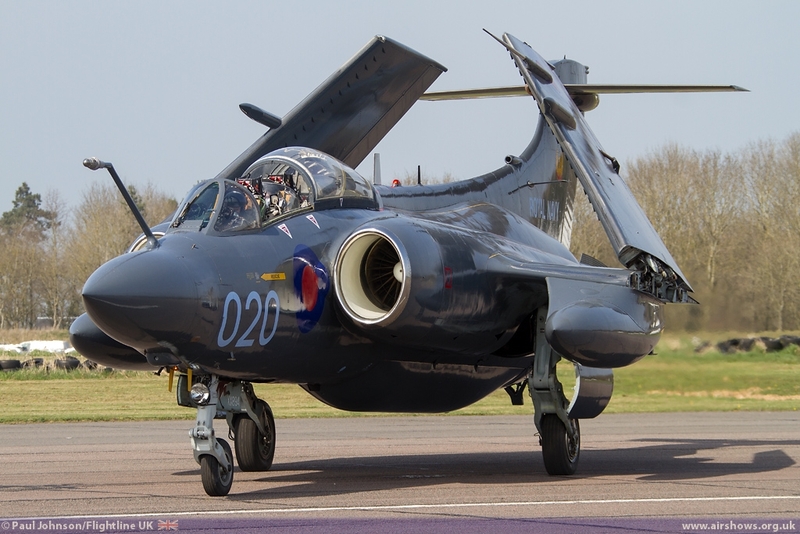 For the event, the Group not only displayed their two aircraft but also included types closely associated with the Blackburn Buccaneer both in terms of fast Taxy runs and visiting airworthy aircraft. 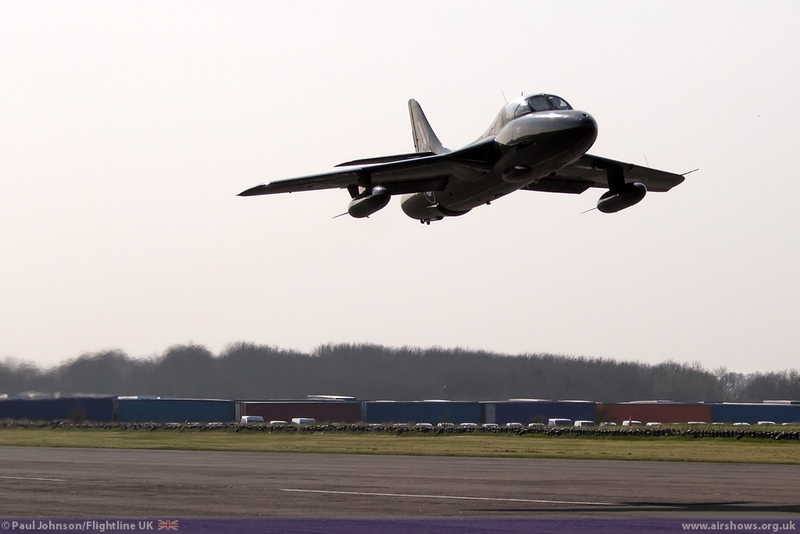 In effect opening the day’s activities were the visiting aircraft. 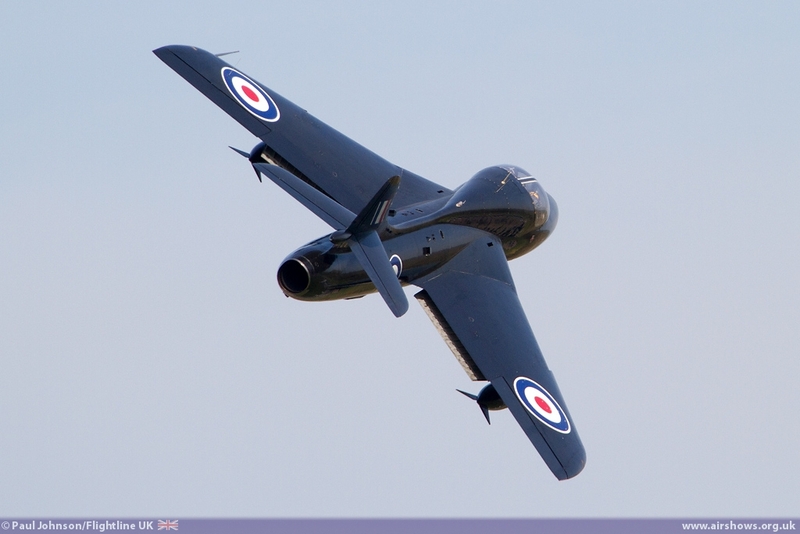 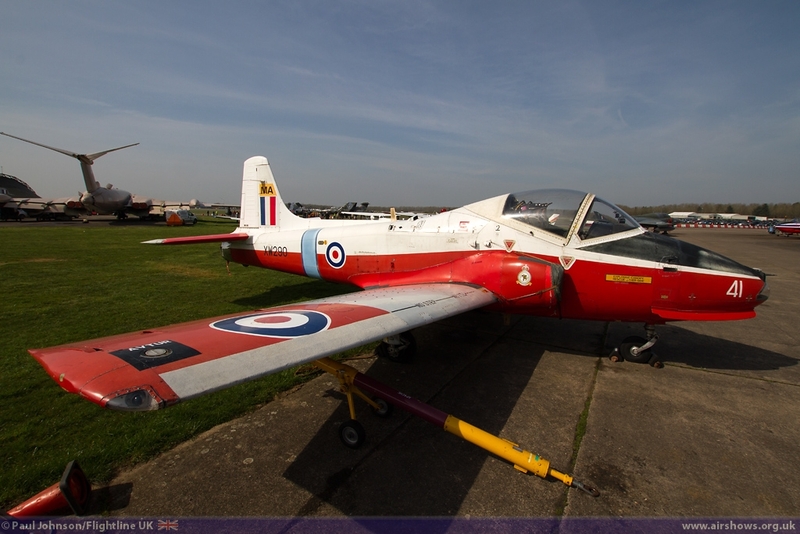 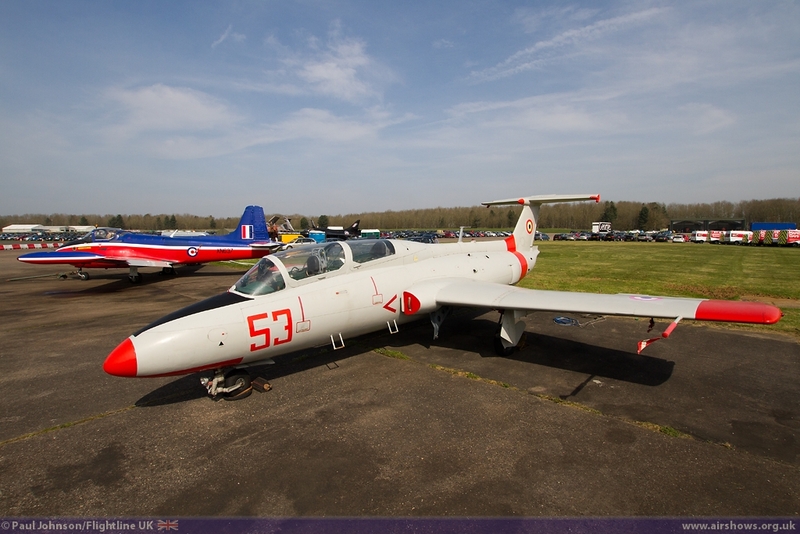 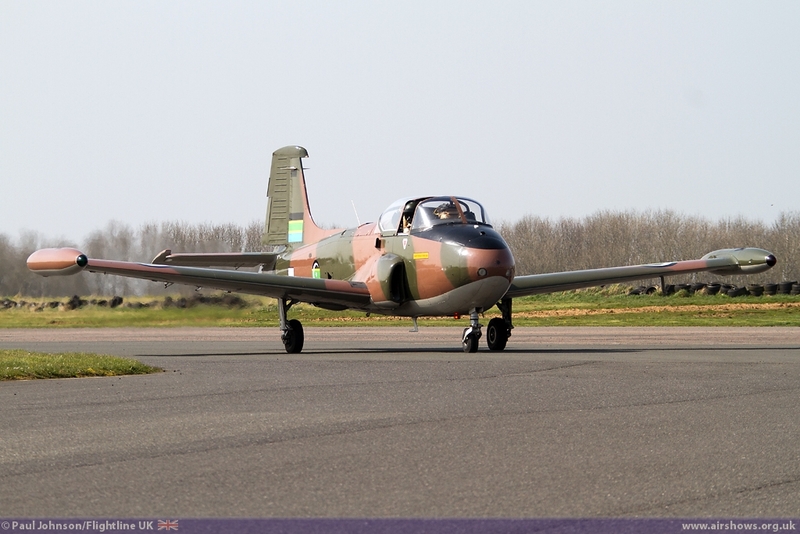 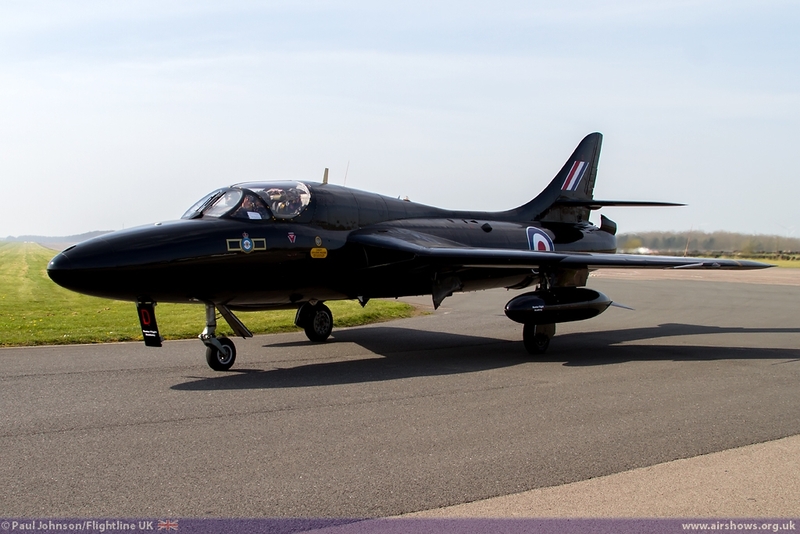 First to arrive was the BAC Jet Provost T3 XN637 from North Weald, the last genuine T.Mk.3 variant left flying. 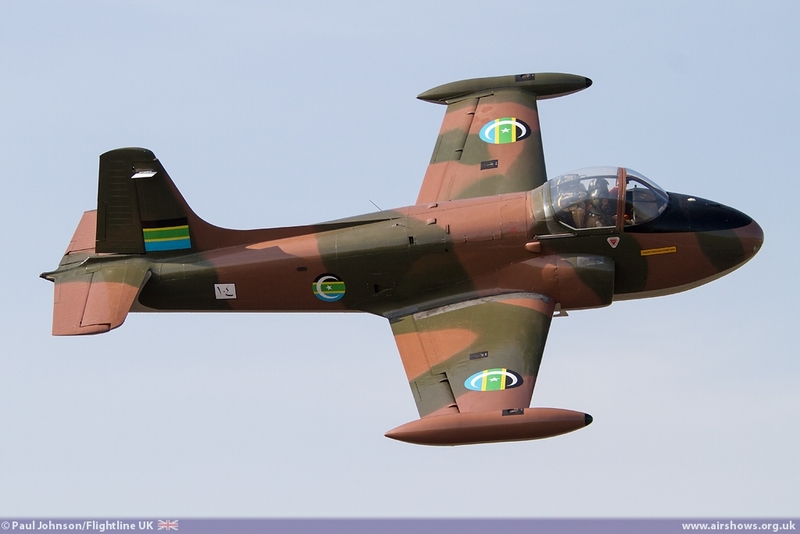 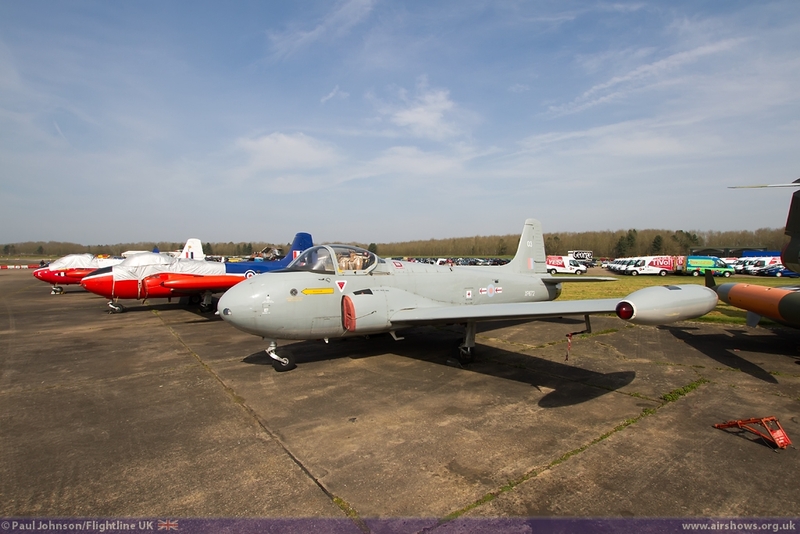 It was joined later in the day by its North Weald stablemate Jet Provost T52 G-PROV which also the last example of its particular variant left flying. 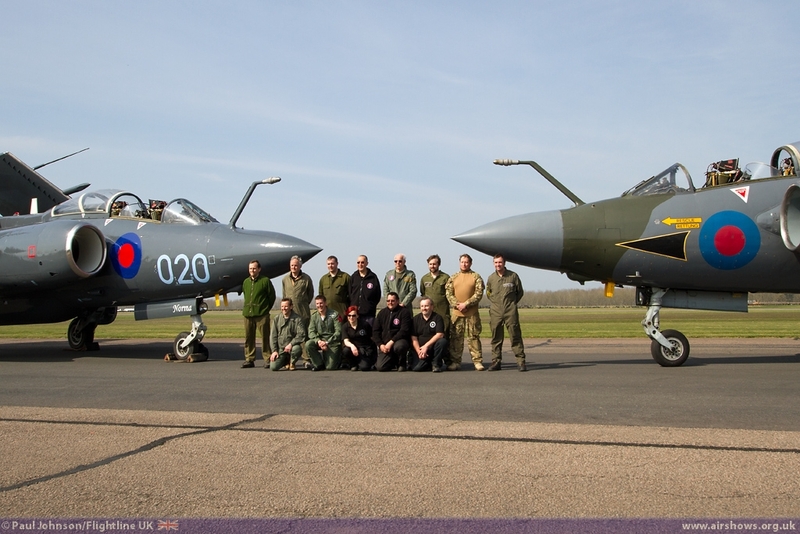 G-PROV wears the distinctive camouflage of the South Arabian Air Force (South Yemen). 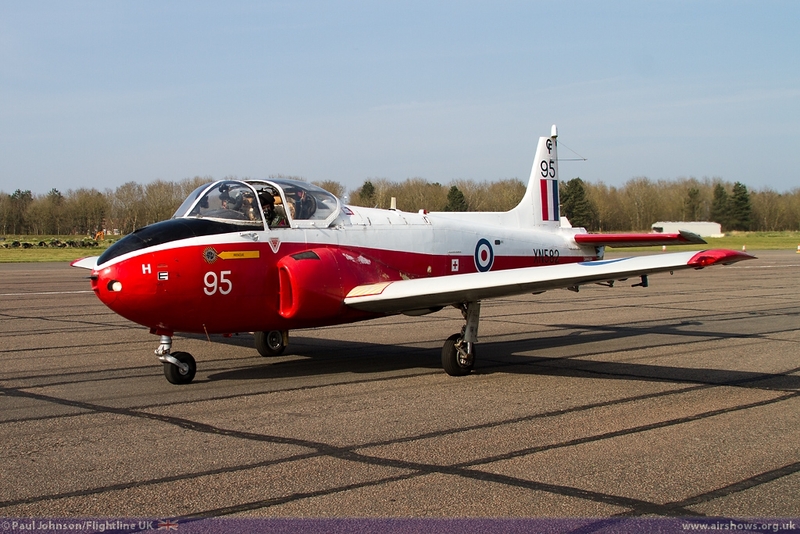 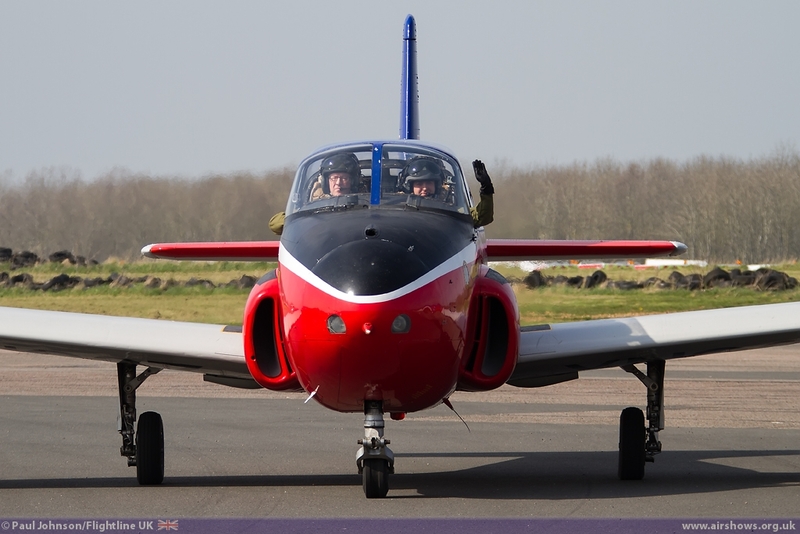 Jet Provost would have be used to train many of the Buccaneer crews in the early part of their training before advanced jet training on the Gnat and Hawk. 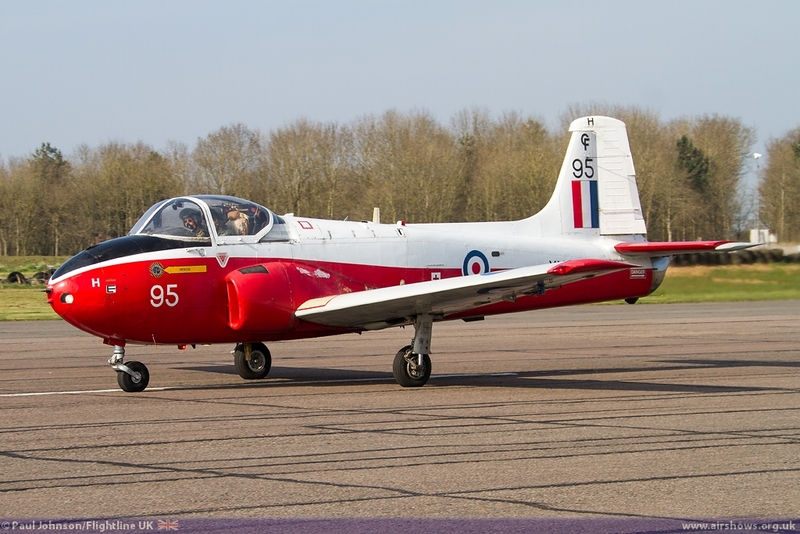 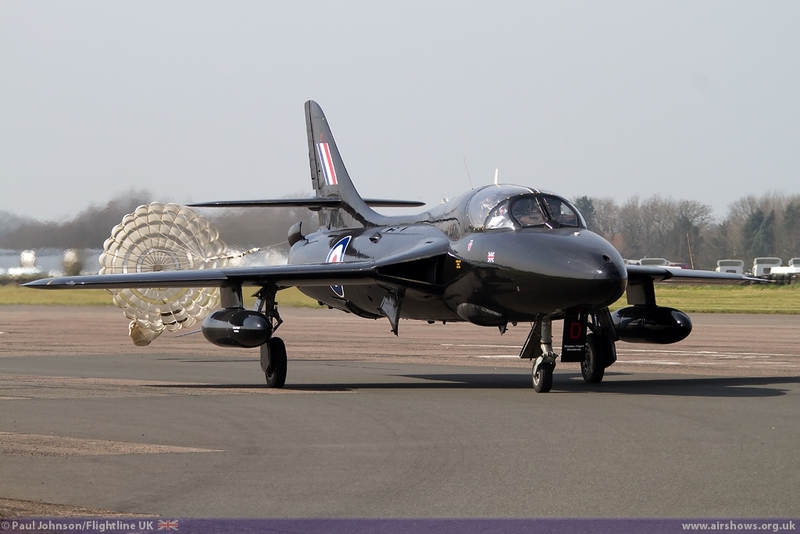 A further Bruntingthorpe based Jet Provost T3A XN582 performed a high speed taxy run later in the afternoon. 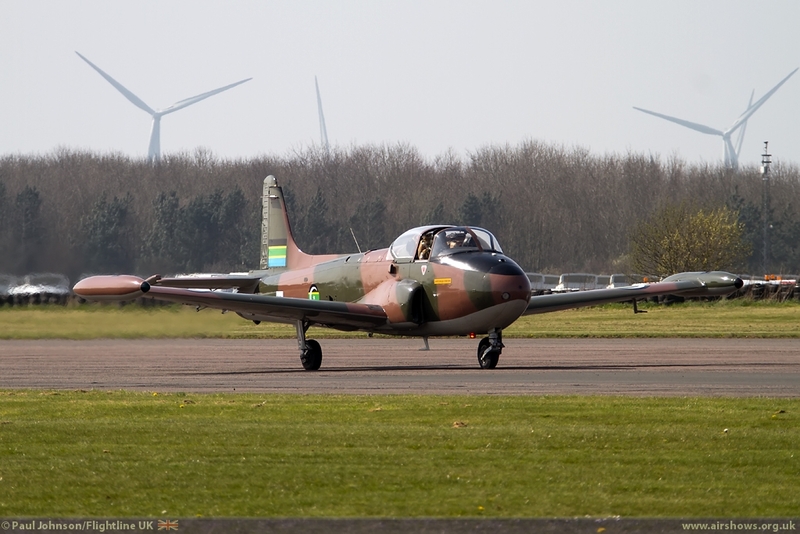 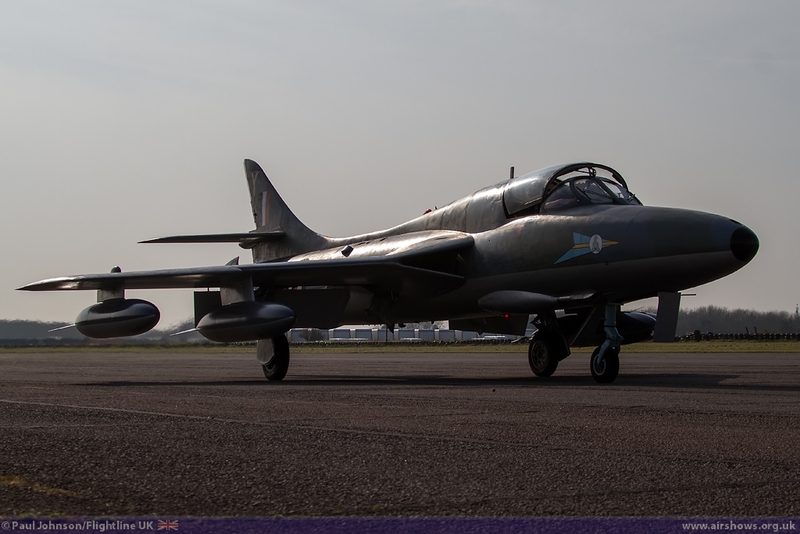 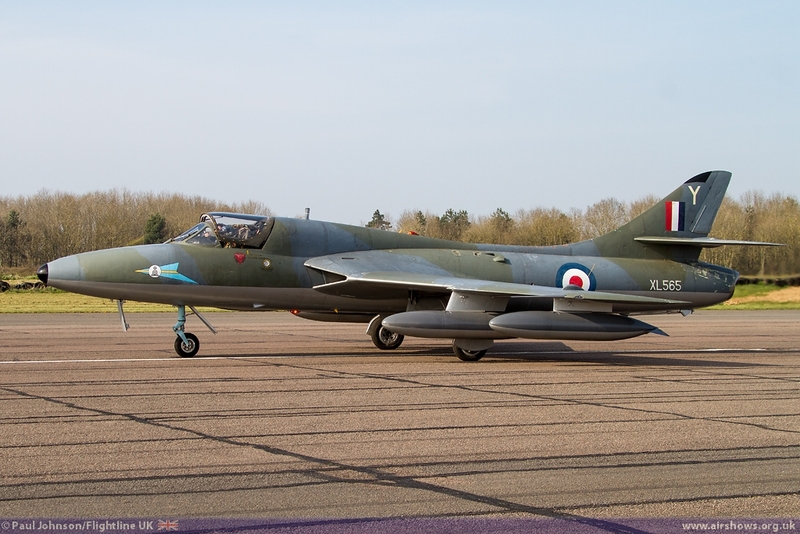 The second visiting aircraft was the Hunter Flight Academy’s Hawker Hunter T7A WV318 which certainly created a buzz on its arrival and departure from Bruntingthorpe. 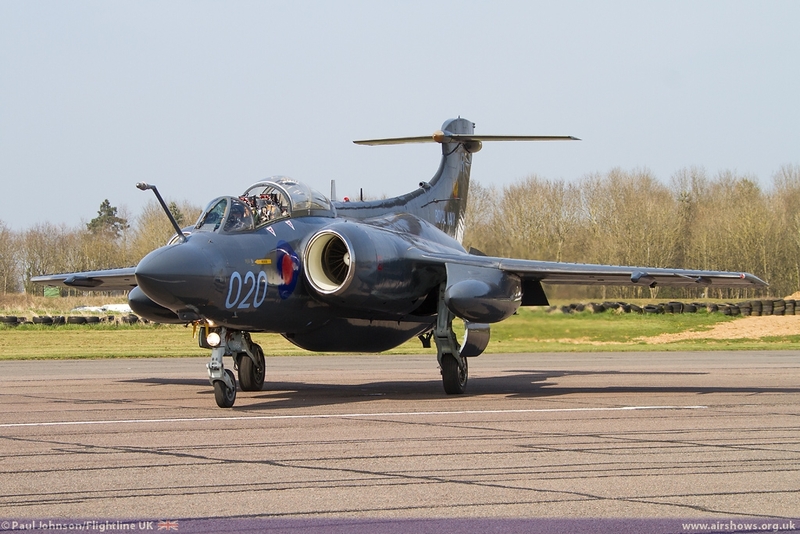 Having this particularly Hunter at the event was particularly apt as it served with 208 Squadron as a Buccaneer conversion trainer as there were no “twin-stick” Buccaneers produced. 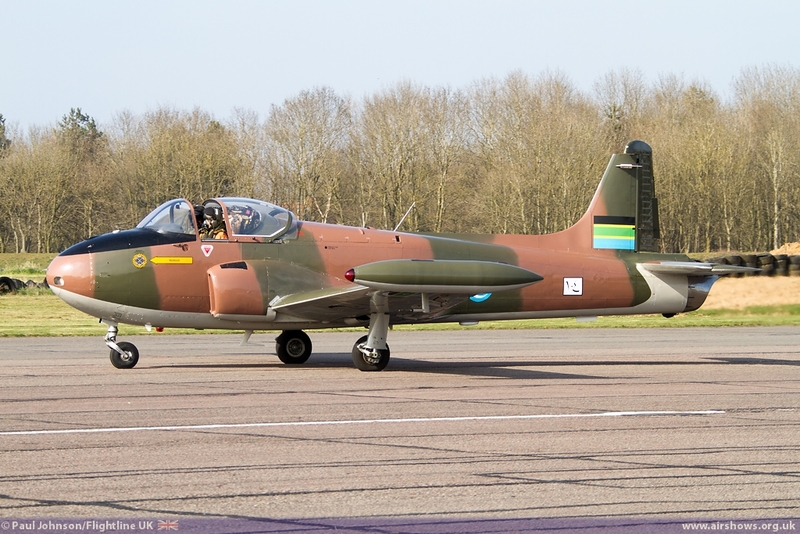 Keeping with the 208 Squadron theme was the Bruntingthorpe based Hunter T7 XL565 which wears those Squadrons marking from the Aden campaign. 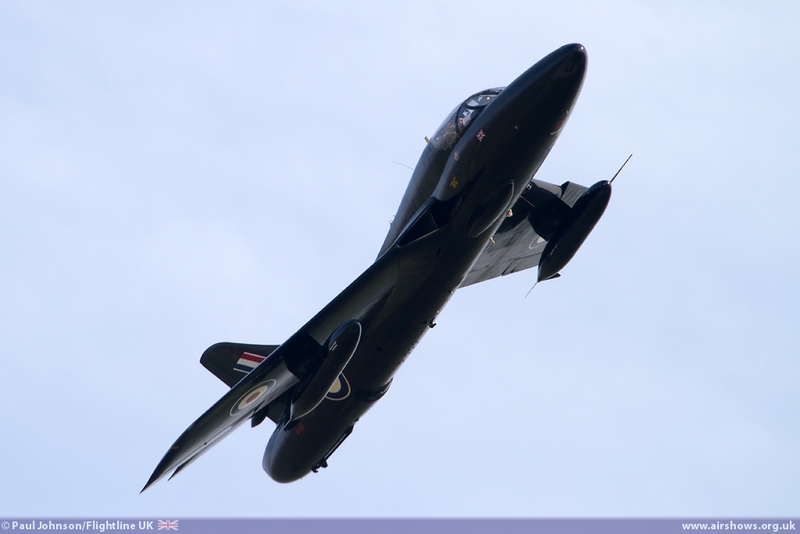 However the stars of the day were the Buccaneers. 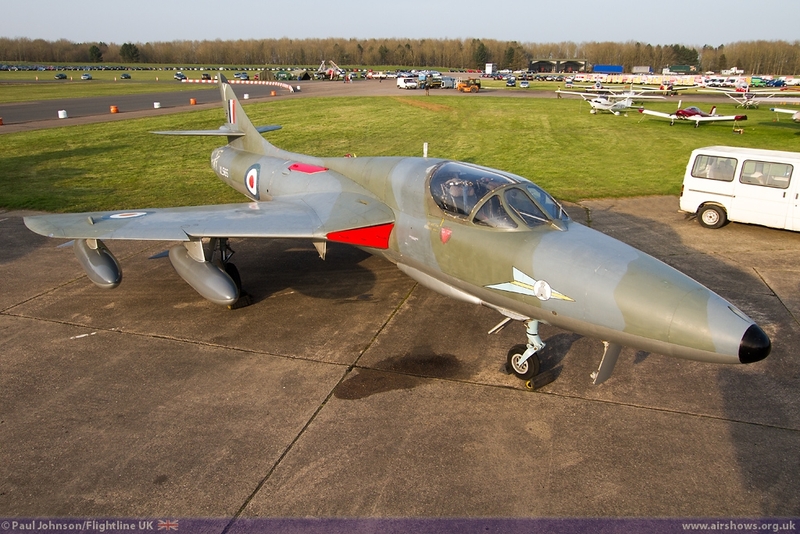 As well as the TBAG’s pair, XX900 was also on show being part of the Cold War Jets Museum. 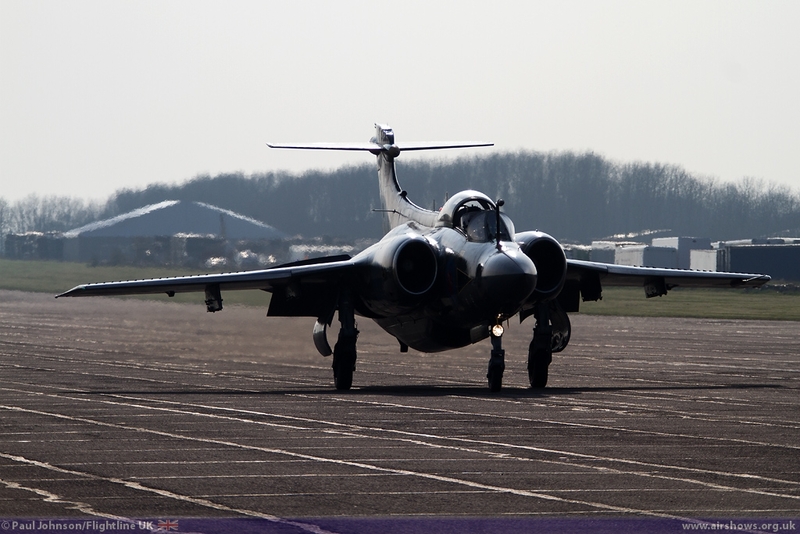 Seeing the Buccaneers power up and perform slow and fast taxy runs was particularly impressive with demonstrations of the various systems including wing folding and the clamshell airbrakes. 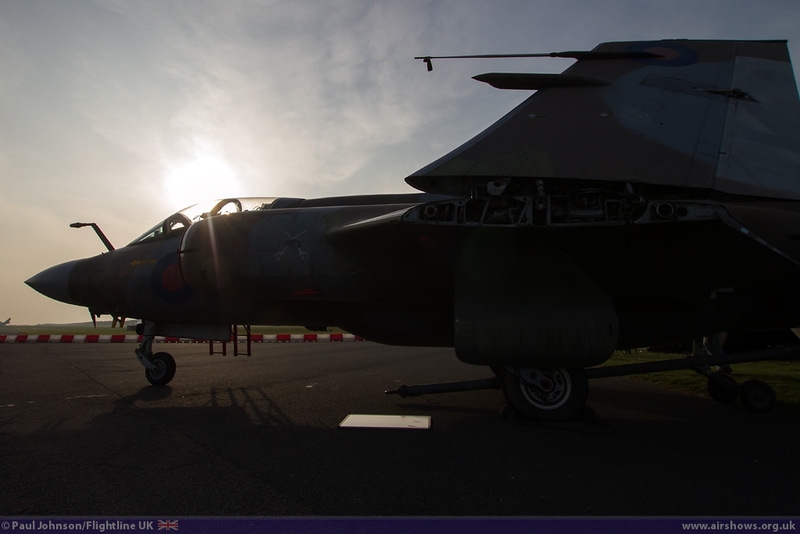 TBAG also put on a nice photoshoot with the airframes under the setting sun to round off a perfect day of jet nostalgia.